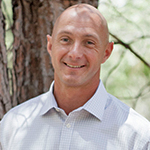 Jeff Cova, President of Winspire, Inc., has over 17 years of experience in the Nonprofit and fundraising industry. Prior to Winspire, Jeff worked for 5 years as the Director of Development at Cal State Fullerton before co-founding a company specializing in producing charity auctions for Nonprofits where he successfully produced the auctions for 250 of Southern California’s most successful fundraising events. In 2008 Jeff founded Winspre with the goal of helping non-profits across the country increase their event fundraising revenue and identify new fundraising sources. Jeff and his team at Winspire have helped over 12,000 non-profits to date. Donor development can be an overwhelming process. The job of cultivating donors, engaging target audiences, building personal relationships and determining the proper timing of "the ask" are all crucial to achieving fundraising success. With each multi-layered step, it’s easy to lose sight of the single-most important part of donor retention: expressing your gratitude. Gratitude is defined as the quality of being thankful or the "readiness to show appreciation for and to return kindness". This is an important concept that takes a central role in fundraising, but can sometimes get glossed over when the focus falls too heavily on numbers and figures. Being a grateful recipient shows your charity cares - not only about the mission at hand, but about the people who make it possible. Donors are people, not numbers. They want to feel appreciated for their contribution and reassured that their money matters. Whether they give $5 or $50,000, every gift is a reason to extend gratitude. Following are five ways gratitude can help you develop and strengthen your donor relationships: 1. Make gratitude the priority Whether or not someone is going to donate again shouldn't be the primary focus when expressing gratitude. While creating repeat donors is clearly an important part of developing your donors, don't give thanks just to get another gift; give thanks because it's the right thing to do. Donors deserve to enjoy their giving, and by showing your gratitude you let them feel good about their generosity. This is an important part of the philanthropic process and an absolute necessity in donor development. Donor cultivation is a critical part of achieving a charity's mission. Build a good relationship with donors, and you set the stage for a lifetime of giving. Ignore the importance of donor relations, however, and your donors may become loyal givers elsewhere. In a perfect world, auction committees would have no problem getting unique and exciting charity auction items donated for their fundraising events. Anyone who has served on a charity auction committee knows this is rarely the case. In your charity auction, setting the minimum starting bid at a low, fair price can help your Nonprofit raise more money per item. Here are some guidelines for setting a minimum bid that will attract and encourage more donors to participate at your next charity auction while earning plenty of profit for your cause. Live benefit auctions can be an excellent fundraising opportunity for your Nonprofit. In order to maximize your fundraising efforts and raise the most money possible, try to avoid these five live auction pitfalls. Send Your Donors on a Trip Out of This World! When you’re faced with too many items for your silent auction event, a smart way to slim down the number of items and maximize revenue is to incorporate bundling into your strategy. Bundling is taking smaller items and grouping them together into larger packages. This can have a positive impact on your auction for 3 reasons: Increase the value of simple items Attract attention to smaller items Reduce clutter of too many items Some no-risk auction items simply lack the appeal that others have. Examples include simple items like gift certificates, inexpensive wine, gas cards, apparel or toys. With bundling, you can take these seemingly “basic” items and make them more interesting to your guests by grouping them with others. EXAMPLE: Ultmate Date Night Bundle For example, a $125 dinner certificate on it's own won't fetch many bids - usually you'll be lucky to get more than $50 for it. Instead, try bundling it together with some other inexpensive items to create the "Ultimate Date Night" package: $125 Dinner Certificate 2 Bottles of wine with glasses 3 Dominos Pizza certificates Coupon for 4 hours of babysitting As you can see, each of these items displayed individually wouldn't go for much. By presenting them together and marketing the bundle as a complete package, you are creating a higher perceived value for your bidders. This translates to more interest, more bids and more money for your cause. If you are hosting a silent auction at your charity fundraising event, it’s important to strategize the best way to present items to your guests. Presentation can have a huge impact on how much donors bid and directly affects how much money you raise at your event. Use these 3 helpful tips for displaying items in a manner that will encourage fierce bidding from your audience. Have donations to your Nonprofit hit a plateau? Have previously active donors suddenly disappeared? Are you having trouble engaging high-level donors? If so, your Nonprofit may be suffering from donor fatigue: Do·nor Fa·tigue noun 1. a lessening of public willingness to respond generously to charitable appeals, resulting in part from the frequency of such appeals. In other words, bombarding your supporters with bland and monotonous appeals for donations may diminish donor interest and weaken your base. We all know a solid donor base is critical to the success of your Nonprofit, which means keeping donors active, engaged and excited. Following are four simple ways to treat donor fatigue and replenish the passion your donors have for your Nonprofit and its mission: 1. Be Choosy About Communication Channels It’s been said before, but it's worth saying again: Communication is key to keeping donors informed and open to giving. Approach each donor – particularly those who donate larger amounts – with an individualized communication plan. Some prefer email over phone calls, others rarely sit down at a computer but love to chat on the phone.